I love the tastes of summer. 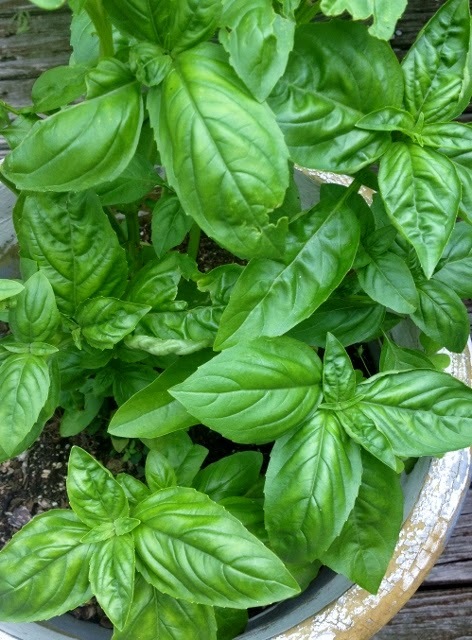 One of my favorite summer recipes is for fresh Italian Pesto sauce. It can be added to grilled steak or chicken, pasta or sandwiches. Here is the classic pesto recipe I use that I have had for years. I don't recall exactly where I got this recipe. Place all ingredients in a food processor or blender. Process until smooth. Sauce stays fresh in the fridge for about a week or you can freeze for later use. If freezing, you can freeze in ice cube trays and just thaw what you need.